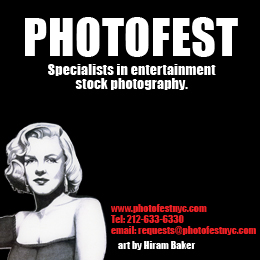 New York’s prestigious Tribeca Film Festival started April 19 and runs through April 30. 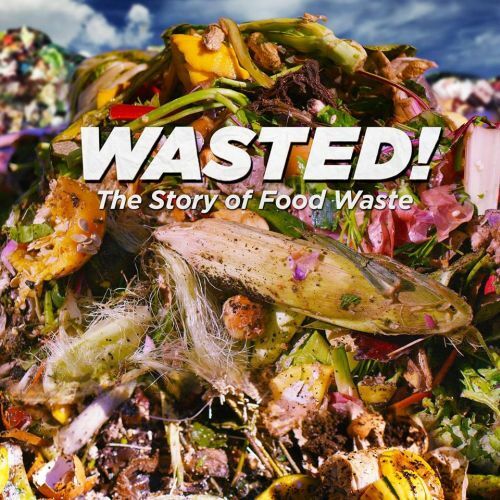 Claire Baiz reports on a film screened in the fest’s “Spotlight Documentary” section on one of the most pressing issues of our time: the massive amount of food waste. Two days a week, in the middle of New York City, I walk a baggie full of banana peels and carrot tops down to a waiting truck. There are guys in suits, grandmothers in chintz, and busy moms and dads waiting to dump stuff into a green plastic garbage can. We smile at each other. We appreciate the strange beauty of helping to reduce waste and create healthy soil, miles from cramped Manhattan. I am the target demographic for this film. I really wanted to get Wasted! Though Anthony Bourdain‘s familiar narration made this 90-minute documentary seem more suited to the small screen, the real failure of the film was swallowing the issue whole. Wasted! 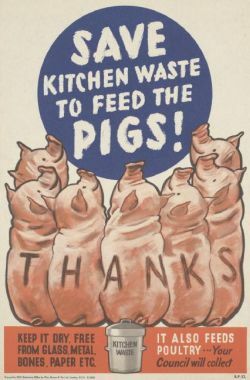 could have cracked the food waste problem wide open. Filmmakers Anna Chai and Nari Kye are too young to remember the old mantra: Reduce, Re-use, Recycle. 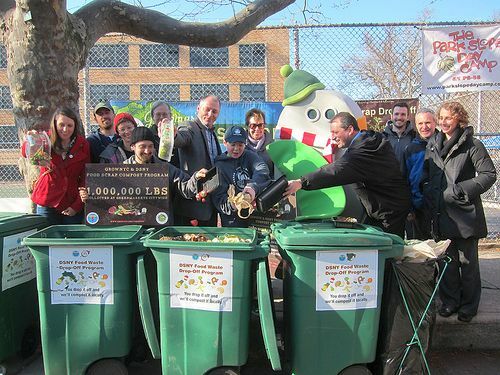 They didn’t mention the easiest way to eliminate waste is not to produce it in the first place. I’d hoped this documentary would give the problem one hell of a colonoscopy. Instead, it danced around the stuff that comes out of the holey supply chain. Still, the visuals were inspiring, and the recycled title wall, painted over (and over) with the movie’s big ideas, provided effective, relatable segues. Every person who was profiled was passionate, knowledgeable, and frank as hell. I love documentaries. Why did I nearly fall asleep … twice? This film could have offered a wide world view of challenges instead of polishing small lenses. What about the massive waste involved in consuming animal protein? A great graphic, a worldwide map of dried grains, could have led to a deep down-and-dirty discussion of the great American food paradigm: feed-it-to-the-animals, then feed-the-animals-to-us. Wasted! didn’t delve into our obsession with monoculture, and the huge battery of liquid, solid, and petrochemical resources it takes to bring a slice of cow or pig to our tables. Dan Barber, the brains behind Stone Barns, the farm-to-table project based in upstate New York, is a true forager. In the film, he’s excited to find new ways to prepare and serve parts of plants that we usually toss out. Is Barber’s example a strong enough call to action for an activist documentary? 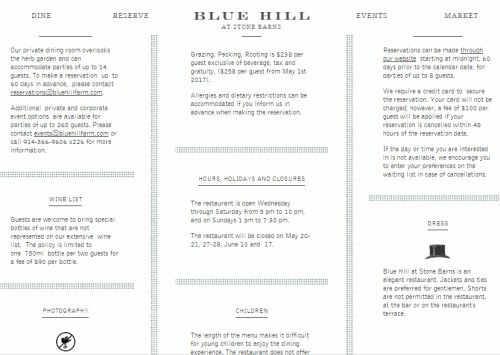 Stone Barns reservations are made months in advance, and don’t come cheap. In the meantime, my mom isn’t going to stuff the hollow stems of an immature summer squash plant with locally fermented kimchi. Is yours? Wasted! makes a few bold assertions, then drops them. 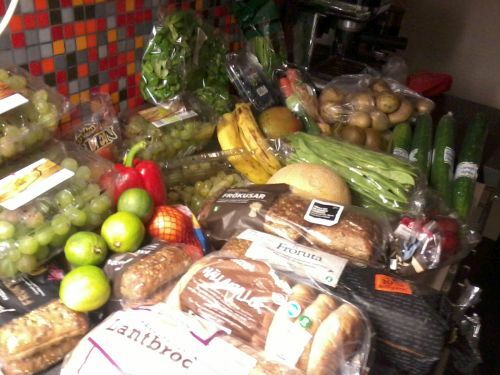 Grocery store chains, it claims, could slash food waste in a matter of weeks. What? We have a global problem that Walmart can wipe clean before the next full moon??? Why didn’t these documentarians go talk to them? Making this huge allegation – and then profiling celebrity chefs – is a bit of a cop-out. If a handful of global corporations have the solution to a global disaster and refuse to talk about it, there’s a story there, too. Ask Michael Moore. This is Anna Chai and Nari Kye’s first full-length documentary. They are talented young filmmakers. The production was top-notch. The visuals were stunning, heartening or gross. The film had good “flow.” Unlike his CNN-style narration in the heart of the film, Anthony Bourdain’s white-background beginning and ending stole the show, showcasing a voice and a wit that eats first, bites back, and asks questions later. Anna Chai and Nari Kye put Wasted! together in nine months, which might be the usual gestation for a human baby, but it’s super fast for a thoughtful documentary on one of the world’s great impending crises. 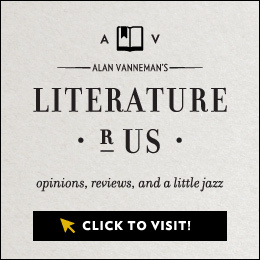 With more time, they might have produced more thought-provoking content. 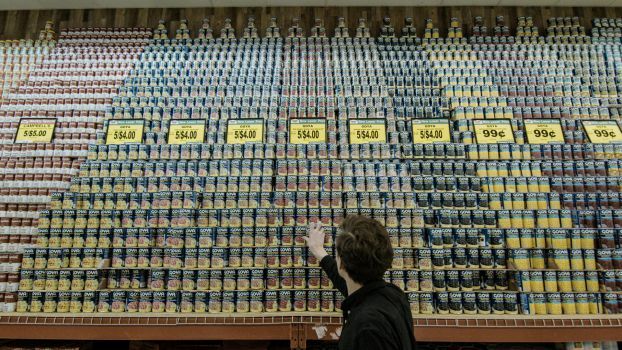 Ultimately, the documentary didn’t dig deep enough to expose the real causes of food waste. Worse, it wasn’t brave enough to corner people in power about tough, systemic solutions. Wasted! left too much on the table. Note: Anthony Bourdain discusses why he thinks chefs can helpfully weigh in on this subject in an April 24, 2017 interview in Food and Wine.